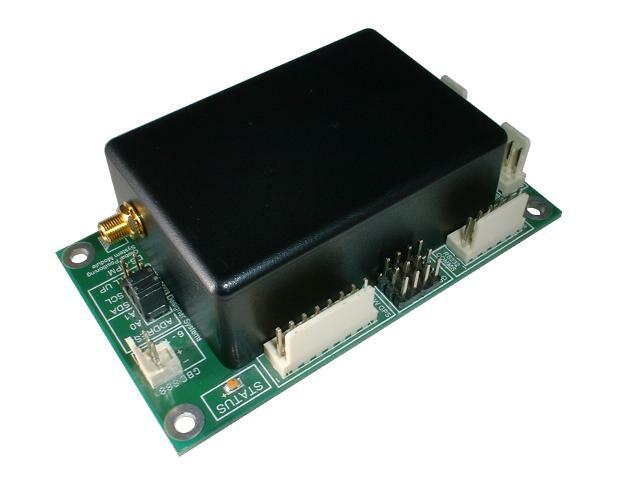 A 12-Channel GPS module with external antenna. It supports I2C and serial communiction betwen the host MCU (e.g. OOPIC and Basic Stamp etc.) and the device. Technical Specifications and Product Details. The s DS-GPMe+ is a highly integrated 12 channel Global Positioning System allowing your robotic application to determine its location, speed and heading on the earth's surface. Built on the success of the existing DS-GPMe the DS-GPMe+ offers improved 12 channel accuracy, lower power consumption and a drop-in upgrade path for current DS-GPMe users. Specifically targeted at OOPic / BASIC Stamp type embedded control applications and the Personal Computer user the GPM features I2C and RS232 communication. GPS data received by the DS-GPMe+ is stored within internal registers which are updated once per second and include: Latitude (i.e. vertical), Longitude (i.e. horizontal), Altitude (metres), Time & date (UTC), Heading (True & Magnetic), Speed (kilometres per hour) and Satellites detected. In addition the DS-GPMe+ features an on-board fully configurable four line TTL IO port and a four line analogue input port with automatic measurement. The DS-GPMe+ requires an external antenna p.n. DS-GPA1 or any 3V active antenna fitted with a MCX plug. . Here is the datasheet.